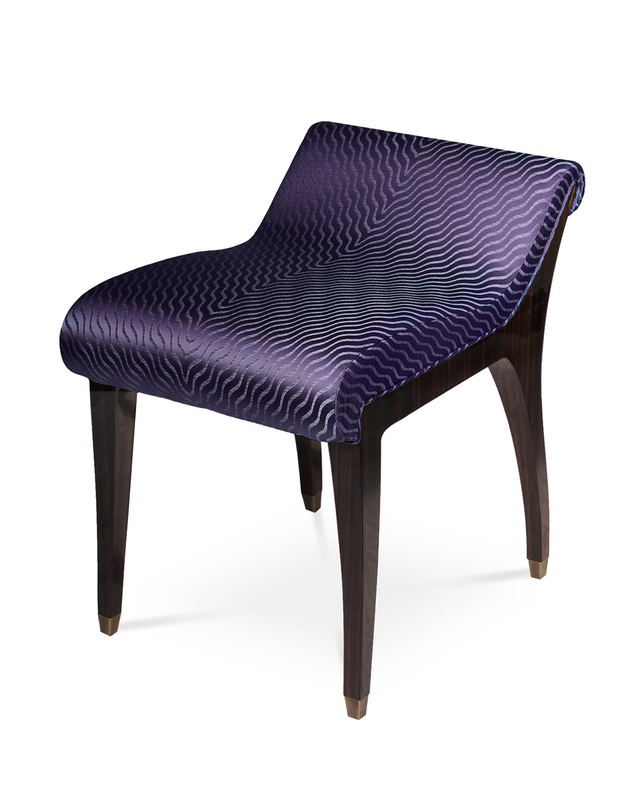 Purple is quite often a color that gets overlooked but one our favorites at American & International Designs Inc. This rich color plays well off of contrasting greens or complimentary reds and blues. Both gold and silver play nicely with this royal hue which can be incorporated into most design styles. Sit back and take a look at these fine heliotrope wonders. 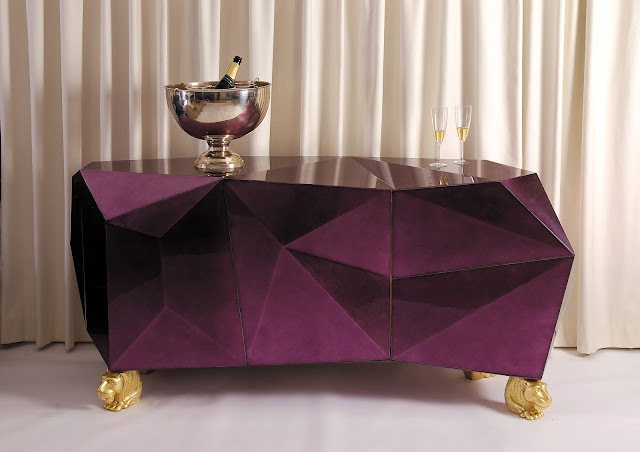 Boca Do Lobo has projected this Diamond Sideboard to be the "jewel in the crown" of the brand. Inspired by the romantic period while clearly modernized to attract today's buyer, this design is a mix of old and new that is sure to please. Kartell translucent hi-cut chair with a purple acrylic accent is a great way to add color and style to your dining space. These sleek Italian designs are available world wide. 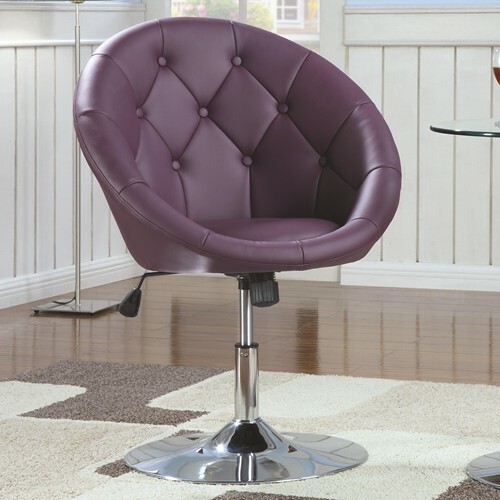 Coaster Fine Furniture swivel bar stools are perfectly wrapped in a beautiful tufted purple. The high chrome finish of the pedestal add to the contemporary look. 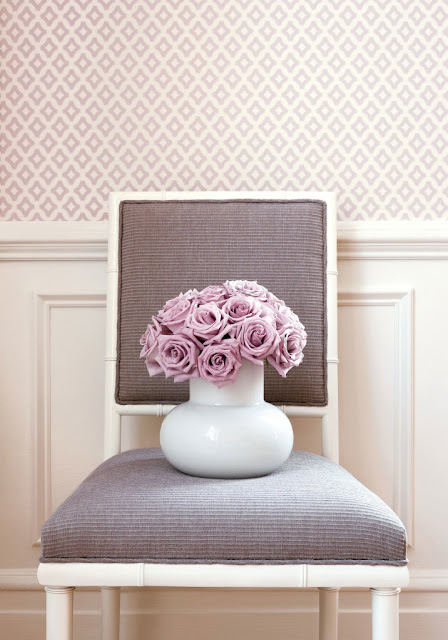 Darian Chair by Thibaut is beautifully upholstered using a woven fabric called Florence in a lilac hue. 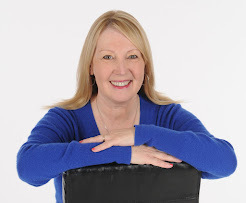 The wallpaper in the background is a lavender version of the Merrill collection. The Incanto Bench by Koket also caught our attention. The curves in the seat itself mimic the fluidity of the fabric's ripple effect. This would be perfect in a guest suite or master dressing area. It is listed on their site under "guilty pleasures" and it most certainly is just that.